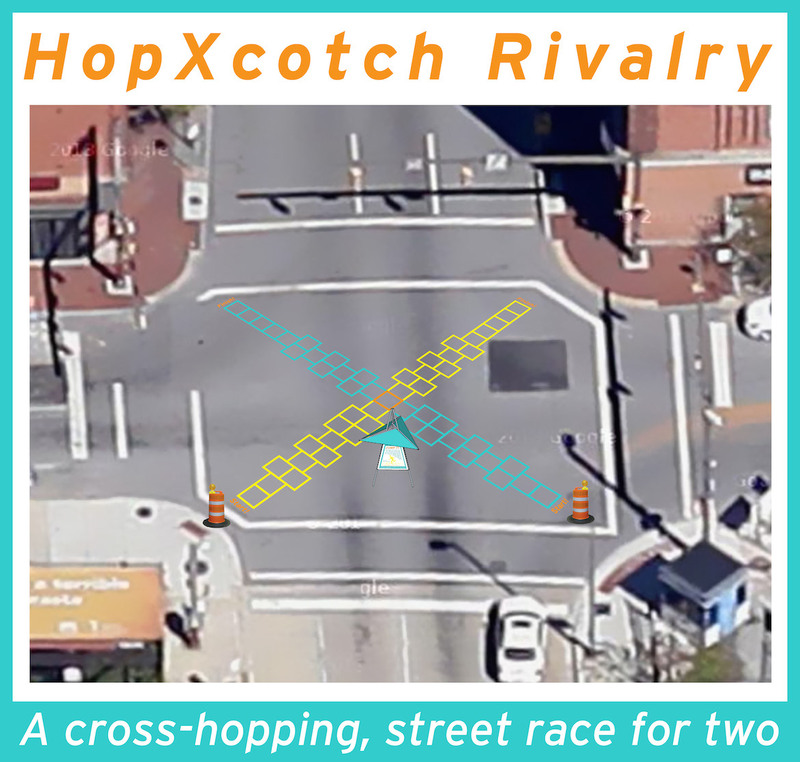 HopXscotch Rivalry: A cross-hopping, street race for two! 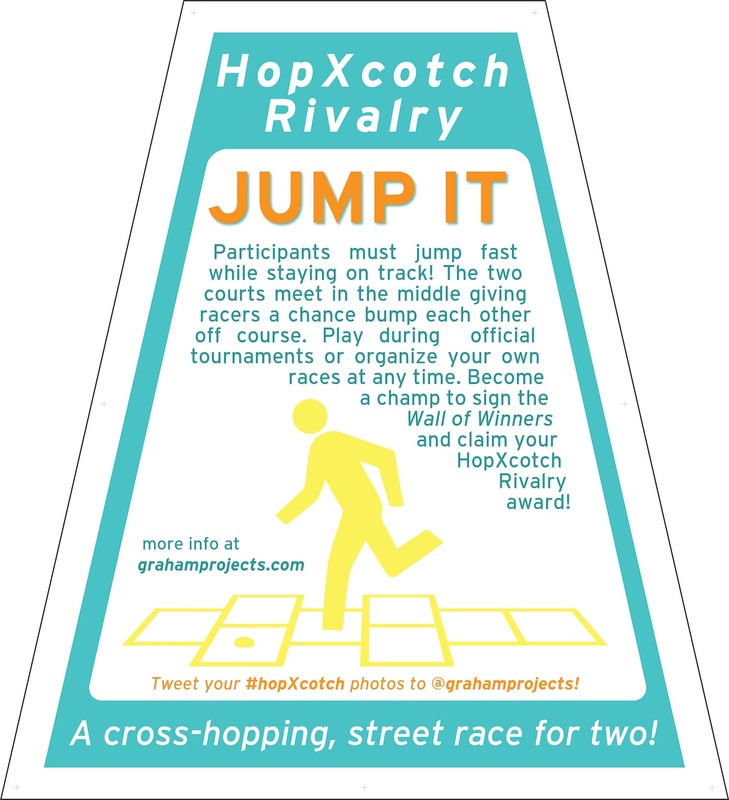 HopXcotch Rivalry will be two extreme hopscotch courses crossing for one action packed, two person race. 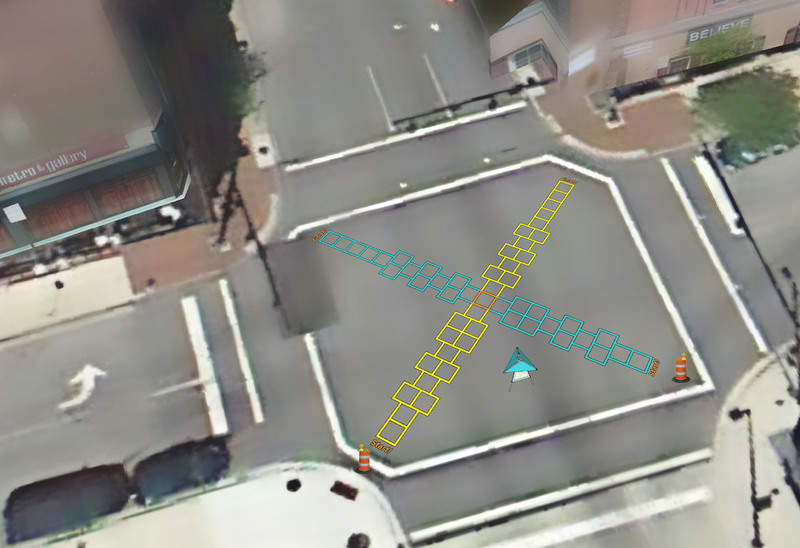 Inspired by the success of my Hopscotch Crosswalks in downtown Baltimore, I’m staging this new project to bring playful pedestrian action to the intersection of Charles and Lanvale Streets, in the middle of Artscape’s Field Day, coming up on July 18-20. Participants will start at competing ends of hopscotch paths and must jump fast while staying on track. The two 50’ long courses meet at the middle, presenting an opportunity for racers to bump each other off course. The easy-to-understand and play game will be enhanced with organized hopscotch tournaments at scheduled times throughout the Artscape weekend. Curated by: Michael Benevento, Jason Corace and Andrew Liang. FIELD DAY is a program of the Baltimore Office of Promotion & The Arts, Inc. (BOPA). Excited? Tweet about it using the #hopxcotch hashtag! 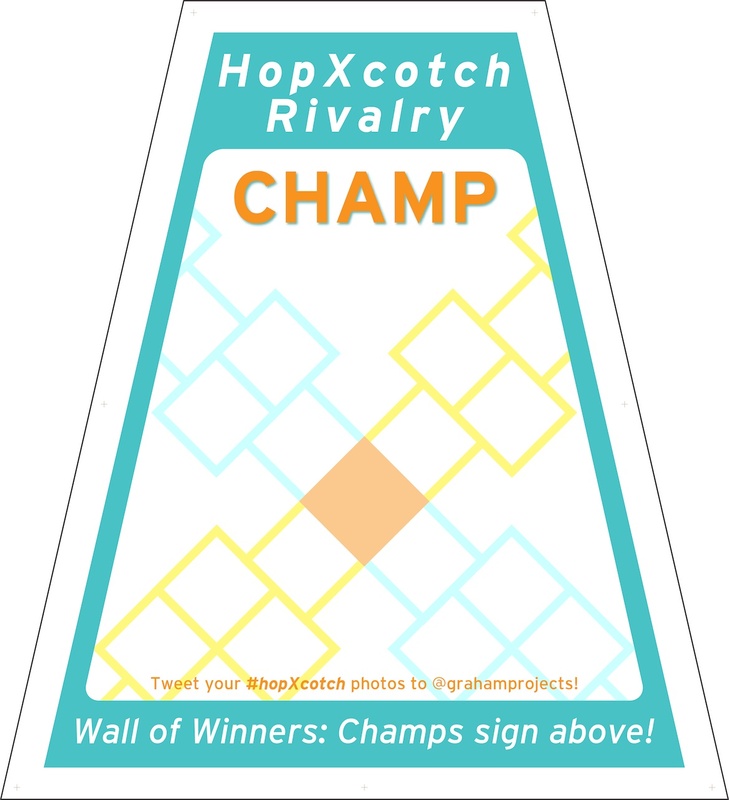 Interested in helping out with HopXcotch? Just want know about event updates and the forthcoming walking tour schedule? Click here to subscribe to the Graham Projects email list!